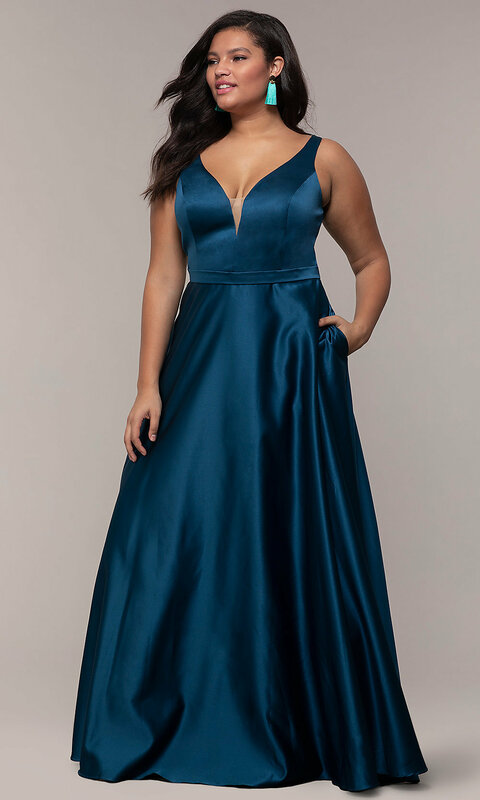 Be beautiful in this long plus-size prom dress by PromGirl. In luxurious satin, this long formal dress is crafted in a classic a-line cut. 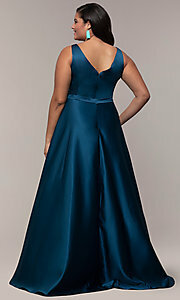 The fitted v-neck bodice has a mirrored v-back and an illusion inset that offers sheer support to the bodice. The long skirt extends from the natural waistline and flows to the floor-sweeping hem of the long evening gown. 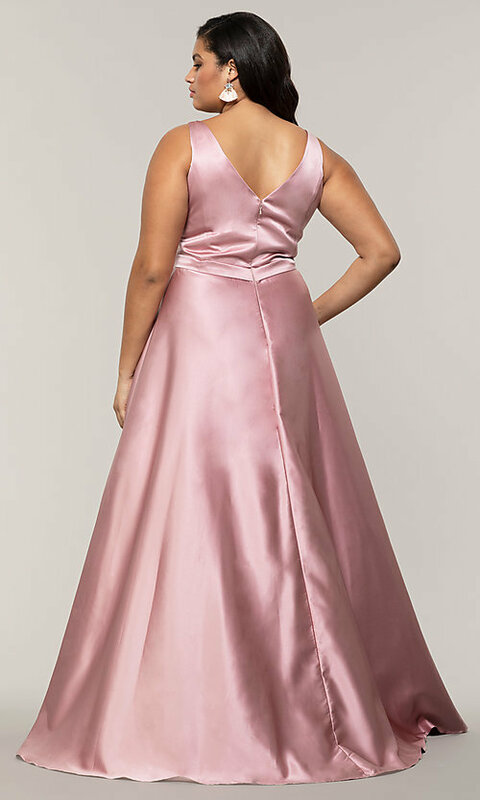 Tulle-trimmed satin linings support the full bell shape of the skirt, and handy side pockets complete the fabulous design of this plus-size prom dress.